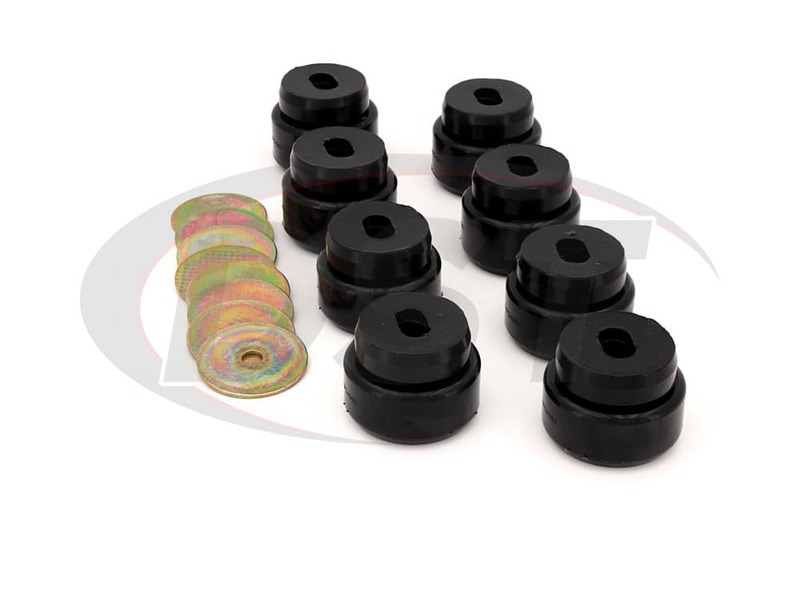 These polyurethane body mount bushings will replace the original rubber on several year models of Chevy Silverado or GMC Sierra, giving you a long-lasting body to frame connection. 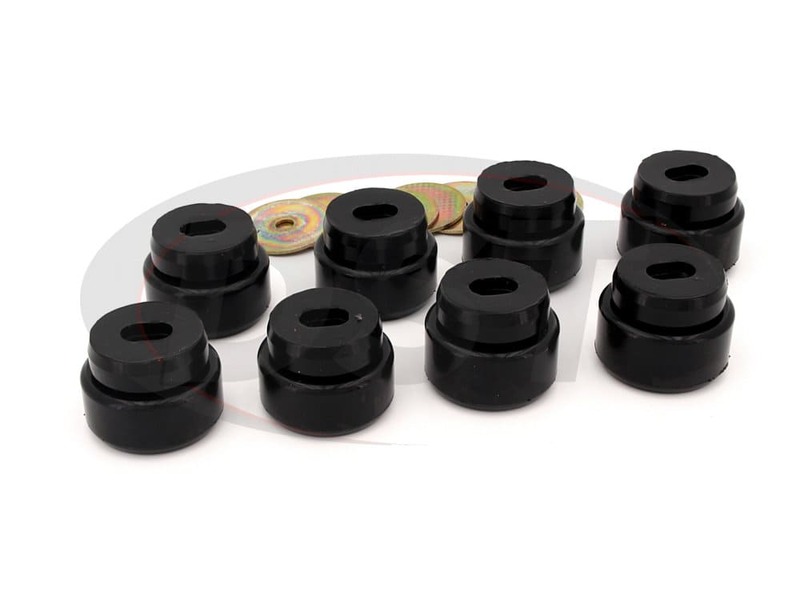 The original rubber bushings absorb your vehicle's vibration but the more they flex the shorter their lifespan becomes. They are destined to succumb to wear and weather to the point that they could rot right off of your vehicle. Once this happens your ride could feel like coming out of the gate on an angry bronco at the Lone Star Arena here in Stephenville, Tx. 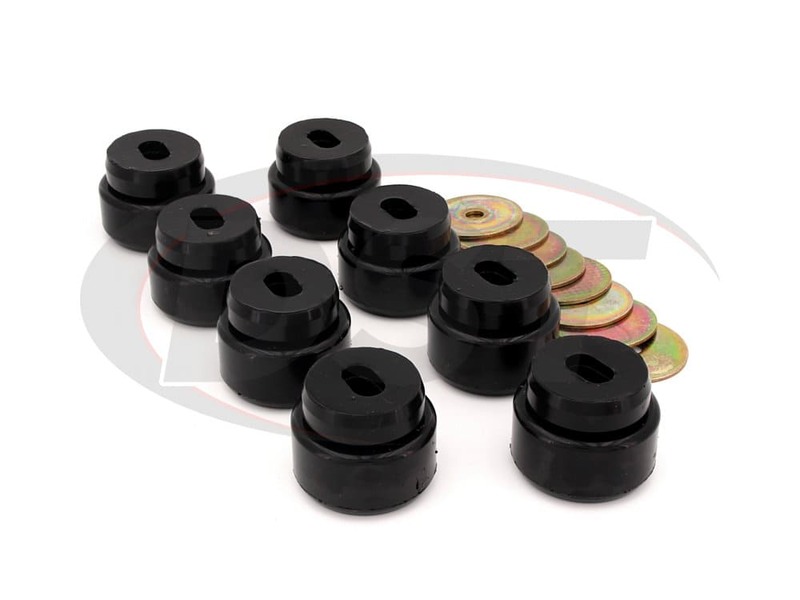 If the pinstripe running the length of your Chevy doesn't line up anymore, then those rubber bushings are already on their way out. This is the first sign of body mount failure and it and your friends might give you grief if they notice it in the parking lot or at the work site. 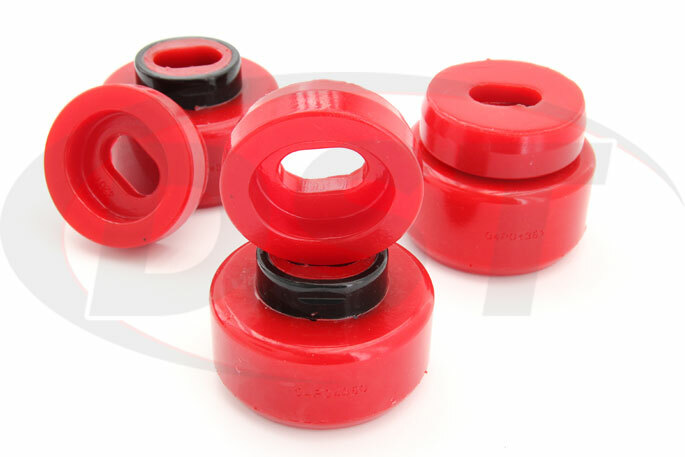 The solution to this inevitable failure is replacing that rubber with durable HyperFlex polyurethane bushings from Energy Suspension. 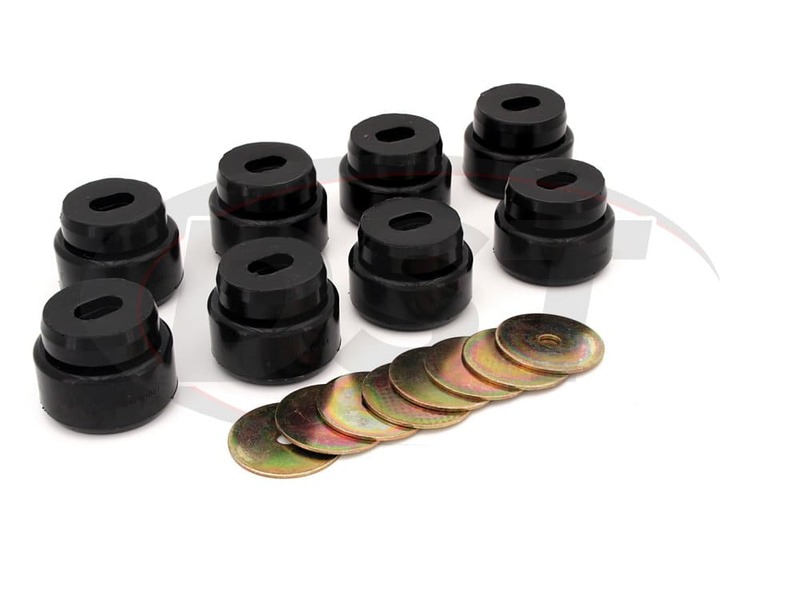 Polyurethane is a tough substance that isn't affected by wear and weather like rubber and, though it allows a little more NVH, it does a better job of keeping your body to frame connection secure and stable. 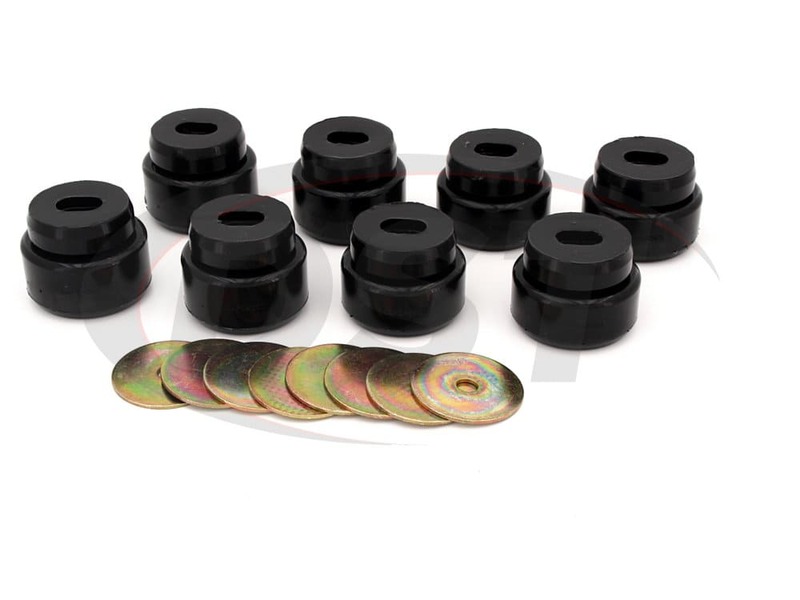 Polyurethane will also last the life of your vehicle, while you may have to replace rubber bushings several times. 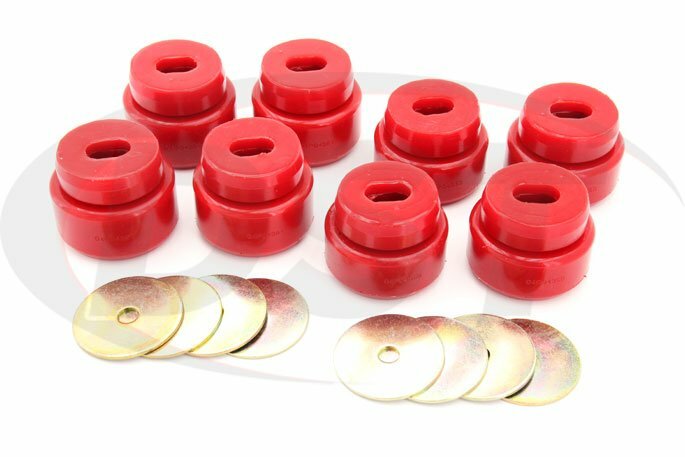 So if you're looking for a much more durable alternative to rubber, Energy Suspension polyurethane body mounts will still be working fine long after the originals are decomposing on the side of the road. 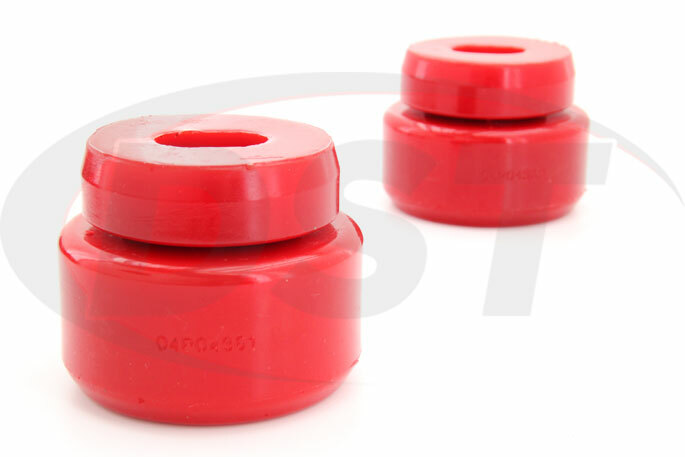 Here at DST we back up that durability claim with an exclusive lifetime warranty.